Spending quality time with your dad is a wonderful way to celebrate this Father’s Day. No matter what interests you share or what would be a treat for your dad, sharing an activity together will make his holiday special. 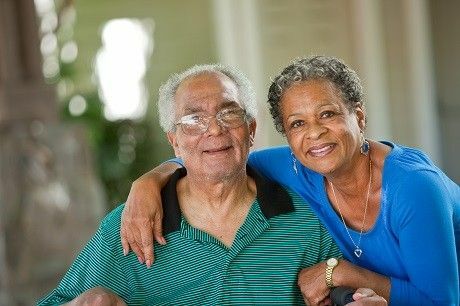 We have asked our Life Enrichment team at Aegis Living to make a few suggestions on how to spend time with your dad to celebrate Father’s Day together! Sharing a Meal or Treat. As the old adage goes, “the way to a man’s heart is through his stomach!” If your dad loves to cook, or better yet loves to eat, plan an elaborate mealtogether. Shop for specialty items or fresh produce and share the tasks of prepping and cooking. Of course, you will handle the cleanup! Or maybe you share the love of fine dining or digging into a juicy burger at your favorite hole-in-the-wall, share some time across the table from each other and indulge this Father’s Day. Sports, Sports, and More Sports! If you have fond memories of tossing the ball in the front yard or dressing in face paint to root for your favorite sports team, relive those memories this holiday. Purchase tickets to a local sporting event to share together. Or spend the day indulging in sporting events on television with a spread of your favorite snacks and beverages. As a special gift, give him the jersey of his favorite player or a signed vintage baseball card. Plan a Staycation Day. How often do you go sightseeing in the city where you live? This is a perfect opportunity to plan a day in town to visit a museum or favorite tourist spot. You can take a stroll down memory lane visiting a nostalgic neighborhood or discover a new local find. Jump on a tour bus or find a guided tour of a local attraction. Every city has a gem to see or revisit. Dapper Dad. Most dads would love to be pampered with an old-fashioned shave and fresh haircut at a local barbershop. Find a place that will shine his shoes like he did as a young man. Some men don’t want to be fussed over, but this is an indulgent and unique way to show your appreciation. Forget the Tie! For those fathers who may have dementia or are less mobile, you may want to bring them a gift that they can enjoy. A comfy pair of non-skid slippers is a thoughtful gift for those dads who are a little less steady on their feet. For fathers who are avid readers, a subscription to large print Reader’s Digest, an audiobook of a favorite author, or a pocket magnifier may be helpful. And for the dads that seem to have it all, make a donation in his name to his favorite charity. However you celebrate this holiday, do it together. At Aegis Living, we wish all fathers and grandfathers a wonderful and relaxing Father’s Day.